Har undervisningsoppgaver ved "Master i pedagogikk med fordypning i spesialpedagogikk", GLU 1-7, GLU 5-10 og PPU. Sheiling Schools, England, independent school for children and adolescents with special educational needs. Educational-psychological counselor, Educational Pychological Services, Trondheim Municipality. Educational-psychological counselor, Alleen School, special school for students with severe learning difficulties, Tønsberg Municipality . Department of Speech Pathology, Tønsberg. Head of the department for nine years. SAMTAK, Educational-psychological counselor with expertise geared towards children and young people with complex learning difficulties as well as social and emotional difficulties. The position would serve PP (Educational-Psychological) offices in seven municipalities with cases where they needed assistance in relation to the individual and systemic level, 1999-2003. Telemark University College, Department for Social Studies in the period from 2003-2010. Associate professor from 2005. Presently working as professor at University College of Southeast Norway, Faculty of Humanities and Education, Department of Education and School Development, where I have been employed since 2010. Promotion as professor in 2012. Currently, I am responsible for the master and have regular lectures aimed at PPU (Practical Pedagogic Education) as well as primary and secondary teacher training. The project was implemented in cooperation with health centers, preschools and schools in Trondheim, and the intention was to provide guidance and support to immigrant parents, young mothers and single parents who had sole parenting responsibilities. The purpose of this project was that adults with aphasia could train together. It was also adapted for socializing. Similar offers were eventually also established elsewhere in Norway, Sweden and Denmark. As a representative of the Norwegian Association of Logopedics and the Aphasia Association in Norway, I participated in developing an information package, which includes a book and movie about living with aphasia. This work was done in collaboration with representatives from the user group. In 1993, we started a Nordic theatre group where young people with acquired head injury were responsible for directing and content. Performances were shown in Nordic countries. Under the auspices of the Ministry of Social Affairs in cooperation with the Aphasia Association in Norway, I had joint responsibility for the project “Back to Work with Aphasia”. In this connection, conferences were conducted, inter alia, in Oslo, Trondheim and Tønsberg. Three preschools participated in this project, where the aim was to ensure that everyone possessed basic concepts before starting school. The project was supported by the Director of Education in Vestfold. The reading project included seven municipalities in the northern part of Vestfold. The background for this project was that a quarter of the referrals to the PP services in the seven municipalities concerned reading and writing difficulties. We followed children in the seven municipalities from the last year in preschool through the third grade. The project was supported by the Director of Education in Vestfold. As educational and psychological counselor, I was responsible for a project titled Philosophy and Everyday Psychology in Secondary Schools. The background for the project was that some secondary schools reported their concern in relation to unmotivated students. The project was supported by the Director of Education in Vestfold. In the period 1999 to 2003 I was responsible for a project where it was wanted to update professional continuing education of schools and preschools in seven municipalities in Norway. Amundsen, M-L. (2017) Når skolen starter med nederlag. Psykologi i kommunen. Nr. Amsrud, A., Amundsen, M-L., Bunting, M., Engh, R., Garmannslund, P.E. (2017) Teacher students in the Norwegian practical-pedagogical education. Edulearn. Amsrud, A., Amundsen, M-L., Garmannslund, P.E. (2017) Postponement behavioor and learning habits in higher education. Edulearn. Amundsen, M-L. & Garmannslund, P. (2017) Ressurssterke jenter med ADHD-utsatthet for mobbing. Psykologi i kommunen. Nr. 1 (52):61-68. Amundsen, M-L., Faugstad, R. & Garmannslund, P. (2016) Arbeidsvaner og utsettelsesatferd hos elever i ungdomstrinnet. Psykologi i kommunen. Nr. 1: 33-44. Amundsen, M-L. & Garmannslund, P. (2015) Mestring og trivsel hos elever med språklig minoritetsbakgrunn i skoler hvor majoritetselevene er i flertall. Norsk Tidsskrift for Logopedi. 4:10-17. Amundsen, M-L. & Garmannslund,P. (2015) Leseferdigheter og motivasjon for lesing på ungdomstrinnet, Norsk Tidsskrift for Logopedi. 3:16-23. Amundsen, M-L., Garmannslund,P. & Stokke, H. (2014) Visual Working Memory- Gender and Age Differences, European Journal of Educational Sciences. Vol.1, 3: 3-15. Amundsen, M-L., Garmannslund, P. & Stokke, H. (2014) Differences in Visual Working Memory among Students, European Journal of Educational Sciences. Vol.1, 2: 124-132. Amundsen, M-L. (2014) Elever med sosiale og emosjonelle vansker. I: Høihilder og Lingås, Pedagogikk for 8. til 13. trinn, Gyldendal forlag, Kapittel 11:171-190. Amundsen, M-L. (2014) Mobbing i skolen- forskning og tiltak. I: Høihilder og Lingås, Pedagogikk for 8. til 13. trinn. Kapittel 12:191-206. Amundsen, M-L. (2014) Ungdoms opplevelse av spesialskole og overgang til videregående skole, Spesialpedagogikk, nr. 1, 2014:38-46. Amundsen, M-L. (2012) Uten navn på døra, Spesialpedagogikk. 7:26-33. Amundsen, M-L. (2012) VEIVISEREN. Databasert lese- og skrivetest. Testen er beregnet for å teste grunnleggende lese- og skriveferdigheter. Test for auditivt og visuelt arbeidsminne. Amundsen, M-L. (2010) Kvinnelige innsatte og sosial marginalisering, Spesialpedagogikk.1: ­26-37. Amundsen, M-L. (2010) Bak glemselens slør, Fontene Forskning.1: 4-15. 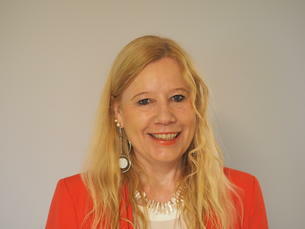 Amundsen, M-L. (2011) Innsattes opplevelse av ungdomskolen, Norsk Pedagogisk Tidsskrift. 6: 424-436. Amundsen, M-L. (2011) Kjønnsforskjeller i psykisk helse i norske fengsler, Nordisk Tidsskrift for Helseforskning. 2/ 7: 3-15. Amundsen, M-L. (2009) Tro på fengsel som virkemiddel? Fontene.1: 50-56. Amundsen, M-L. (2008) Very Important Children, Spesialpedagogikk. 3:36-43. Amundsen, M-L. (2008) Gjengangerne, identitet og selvfølelse, Nordisk Tidsskrift for Kriminalvidenskab. 2: 192-297. Amundsen, M-L. (2007) Gjengangerne i norske fengsler, Spesialpedagogikk.1: 30-36. Amundsen, M-L. (2006) Når skolen svikter, Spesialpedagogikk. 6: 22-29. Amundsen, M-L. (2004) Kunsten å være rådgiver. Norsk Tidsskrift for Logopedi. 1:14-18. Amundsen, M-L. (2004) Kunsten å være rådgiver. Norsk Tidsskrift for Logopedi. 2:10-13. Amundsen, M-L. (2003) PC-program for begrepstrening. Løvetannen læremidler; Oslo. Amundsen, M-L. & Zeiner, N. (2001) MIN FØRSTE LESEBOK. Amundsen, M-L. (1998) Afasirammede og attføring, Spesialpedagogikk, nr.1:10.17. Amundsen, M-L. (1998) Hva er dysfasi. Afasiposten, nr. 1, 1998. Amundsen, M-L. (1998) Sakkyndighet og rett til behandling, Spesialpedagogikk, 2:26-32. PEKETAVLE [Pointing tablet], Amundsen 1990, published by the Aphasia Association in Norway. This was a pointing tablet with pictures that was easy to carry, and that gave the aphasia patient the opportunity to answer yes or no to questions, and express that he was thirsty, hungry, needed to go to the toilet, or in pain. The pointing tablet is still used in hospitals and rehabilitation centers around the country. LESEKORT [Reading cards], Amundsen, 1990, published by the National Association for Public Health. The cards are designed for young people and adults who, due to acquired brain injury, must learn to read and write again, but can also be used by children and young people with learning difficulties. Pekbok for vuxna [Pointing Book for Adults], Amundsen, 1992, published by the Heart-Lung Association, Stockholm. The book resembles the Norwegian edition, but adapted to Swedish conditions. Pegebog for voksne [Pointing Book for Adults], Amundsen, 1992, published by the Stroke and Heart Association, Copenhagen. The pointing book is also similar to the Norwegian edition, but adapted to Danish conditions. This book was also published in Iceland. VEIEN VIDERE - LESEBOK FOR VOKSNE [Looking Ahead – Reading Book for Adults], Amundsen 1994, published by the Ministry of Social Affairs and the Aphasia Association in Norway. This was the first reading book in Norway which was intended for young people and adults who had to learn to read again after they had alexia and agraphia after acquired brain injury. RINGENES MESTER - et spill for begreps- og lesetrening [Master of the Rings - a game for concepts and reading practice], Amundsen 1994, published by OKANI Teaching Aids, Bergen. Master of the Rings is a concept’s training game for preschool children, but can also be used by students with learning disabilities. Lærebok for voksne- 96 [Textbook for adults], Amundsen 1996. PC-based data program intended for adults with learning difficulties or aphasia. The program was used in resource centers and PP offices around the country, and was one of the first PC-based educational tutorials which was released in Norway. Å leve med afasi (book) [Living with Aphasia], Amundsen, Høy-Petersen, Sandmo and Sundet 1993. The book was published by the Norwegian Distance Education as a joint project between the Ministry of Social Affairs and Norwegian Distance Education. MIN FØRSTE SKOLEBOK [My First Schoolbook], Amundsen/Zeiner, 2000, Ring binder consisting of tasks intended for preschool children’s last year in preschool. The assignments are intended to ensure that children have acquired basic concepts with a view to starting school. Læreboka-03 [Textbook], Amundsen 2003, this is a PC-based learning program designed for children, adolescents and adults with reading and writing difficulties. The program is also intended for students with minority backgrounds. ORION- 99, Amundsen, 2003, a PC-based test that detects literacy. By using repeated tests, this test can show individual progress. The test is intended for children, adolescents and adults with reading and writing difficulties. The reason that I developed this test was that there was a need for tests that could visualize individual effect of the special education. MIN FØRSTE LESEBOK [My First Reading Book], Amundsen/Zeiner, 2001, published by Løvetannen Læremidler, Tønsberg. This is a reading book with uppercase letters and slow progression intended for beginner training. ARBEIDSHEFTE, Min første lesebok [Workbook, My First Reading Book], Amundsen/Zeiner, 2001. The workbook follows the reading book’s methodology and can be used together with this. LÆREBOKA 2011 [Textbook] - Amundsen, Data-based program designed for beginner reading and writing, and older students with reading and writing difficulties. The program also includes training tasks in terms of numbers and telling time. Når barn begår overgrep. Dagsrevyen 30/10-2018.